Welcome to the Dunbar and District History Society website, which was designed with the help of Richard Mullender, a 6th year student at Dunbar Grammar School. The site is available via the Our Locality platform. We are based in the Town House in Dunbar High Street where we have a wide range of resources including books, pamphlets, photographs, videos and audio recordings relating to the history of Dunbar. The aim of the Society is to record as many aspects of Dunbar’s long history as possible and we welcome donations (e.g. photographs) from the public. We also aim to encourage historical research in relation to our town and its surrounding areas – from pre-history up to the present day. Local history is important in a town’s culture as it provides a record of a particular area, including key events, changes in the town and the memories of a wide range of the people who lived and used to live in the town. 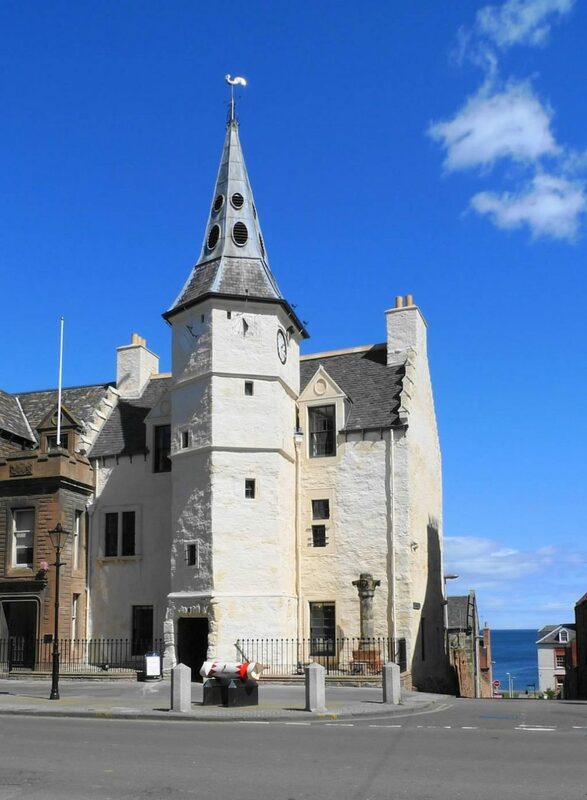 We hope that you will find this website useful and we encourage you to visit Dunbar Town House Museum and Gallery, where Society members volunteer, and ask about the resources in our history room. Please click on the sections on the left hand side of this page for more information. We always welcome new members to our Society. The membership subscription is £7 (Family £10). For guests at each event, a £2 donation is recommended.